Robarb -- 99.5% Sodium Dichloro-S-Triazinetrione. 56% Stabilized Chlorine. 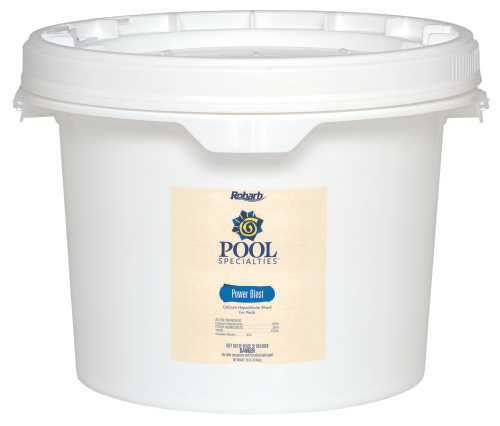 Easy Pool Sanitizing In A Fast Dissolving Formula. 25 Lb. Robarb -- 99.5% Sodium Dichloro-S-Triazinetrione. 56% Stabilized Chlorine. 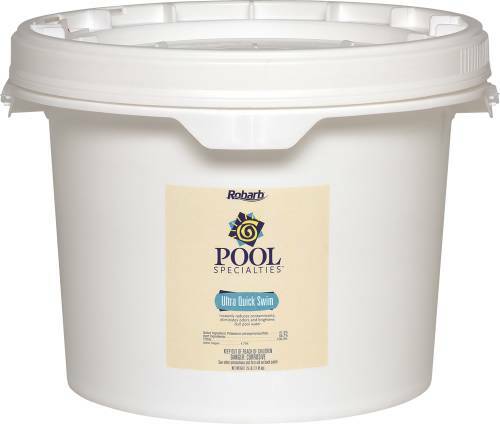 Easy Pool Sanitizing In A Fast Dissolving Formula. 50 Lb. Robarb -- Bactericide, Algaecide, and Disinfectant. Works Over A Wide Ph Range. Dissolves Easily. 25 Lb. Pail. 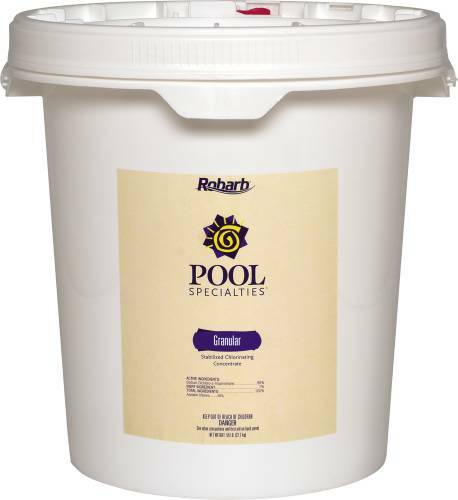 Robarb -- Bactericide, Algaecide, and Disinfectant. Works Over A Wide Ph Range. Dissolves Easily. 50 Lb. Pail. 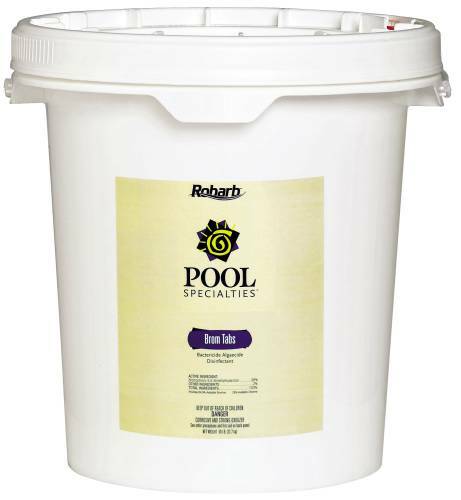 Robarb -- Calcium Hypochlorite Prevents Bacteria and Algae Growth. 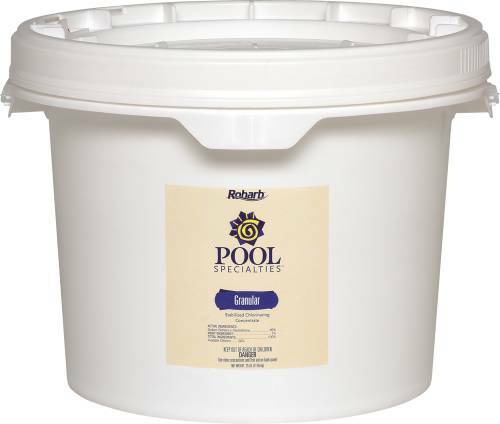 Excellent For Super Chlorination. 1 Lb Bag. 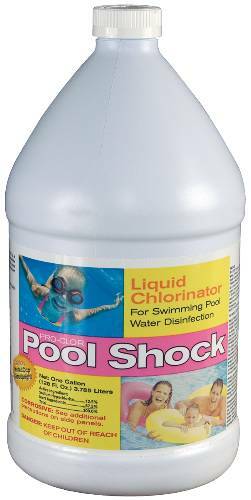 Chlorine Bleach 10.5% - Liquid chlorine for controlling algae growth in swimming pools. One 15 gallon drum. 4 Per Case, Sold By The Case. Non Refundable Bottles. Robarb -- Contains Trichloro-S-Trizenitrone. Slow-Dissolving Sticks For Continuous Disinfection. 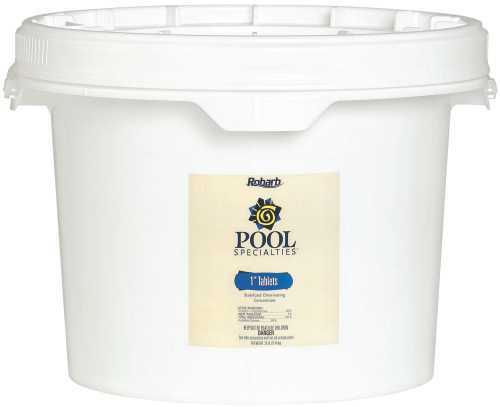 89% Available Stabilized Chlorine. 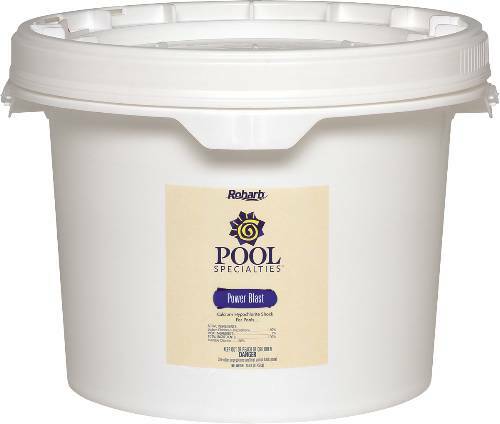 Ideal For Floaters, Feeders and Skimmers. 50 Lb. Pail. Robarb -- Contains Trichloro-S-Trizenitrone. Slow Dissolving 1/2 Oz. Tablets For Continuous Disinfection. 89% Available Stabilized Chlorine. Ideal For Floaters, Feeders and Skimmers. 50 Lb. Pail. Robarb -- Contains Trichloro-S-Trizenitrone. Slow Dissolving 8 Oz. Tablets For Continuous Disinfection. 89% Available Stabilized Chlorine. Ideal For Floaters, Feeders and Skimmers. 25 Lb. Pail. Contains Trichloro-S-Trizenitrone. Slow Dissolving 8 Oz. 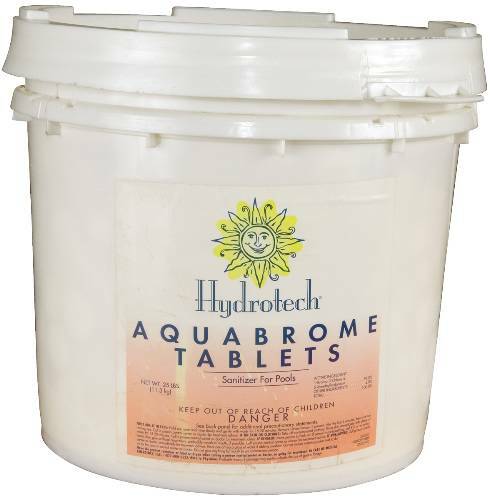 Tablets For Continuous Disinfection. 89% Available Stabilized Chlorine. Ideal For Floaters, Feeders and Skimmers. 50 Lb. Pail. 3 Lbs. 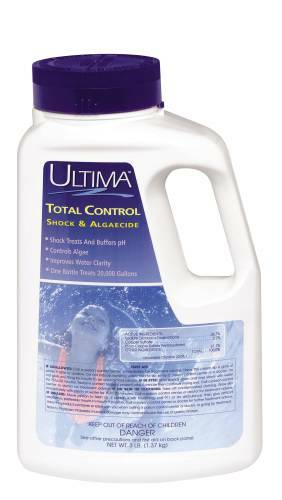 A Powerful Combination Shock Treatment and Algaecide That Offers Immediate As Well As Extended Relief From Algae.